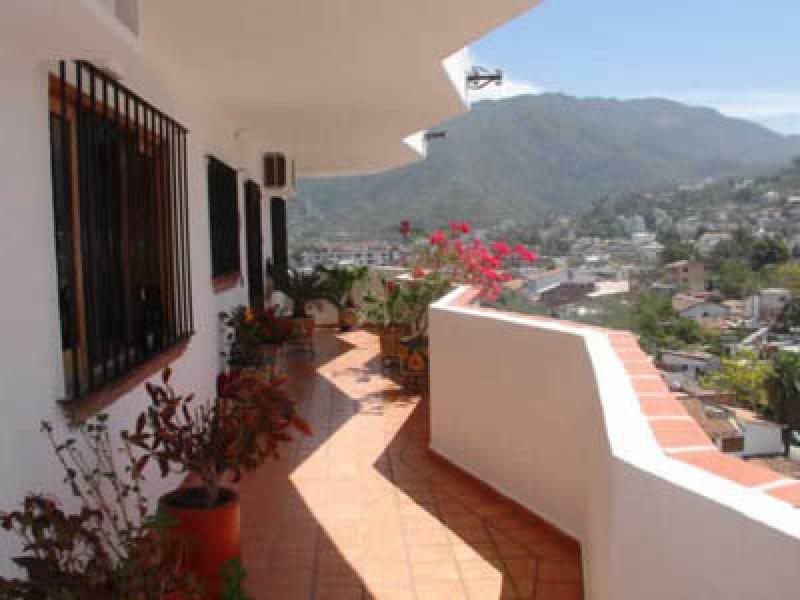 This two bedroom, two bath condo is located in Vista del Sol complex, right at Playa Los Muertos in Old Town. The unit has a fully equipped kitchen with everything you need to serve eight, plus microwave, coffee maker, blender, etc. The master bedroom has a king bed and master bath with large tile tub. Twin beds occupy the second bedroom with private bath. There is balcony off of the living area with incredible views of the ocean as well as the north bay, excellent for dinner al fresco or to enjoy the incredible sunsets. Two elevators are available to take you to the roof of this ten story building where you can enjoy the huge swimming pool and 360° views of Puerto Vallarta.